An architectural masterpiece thoughtfully situated amongst the North Shore's finest elements. Experience the pleasures of an urban sanctuary just ten minutes from one of the world's most desirable cities. 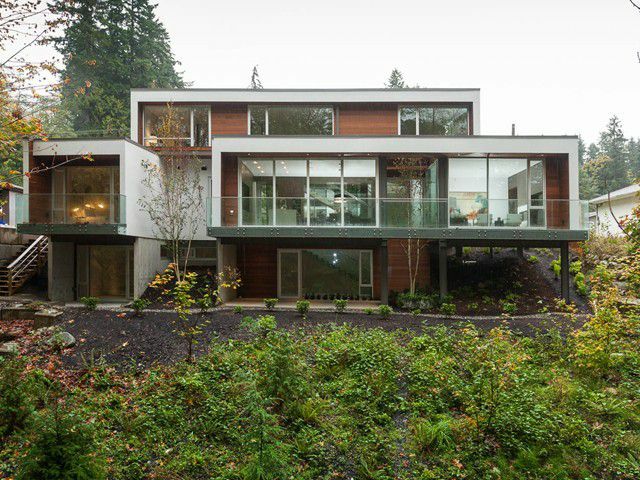 Designed and constructed with thehighest quality of execution, this home brings an avant-garde twist to west coast living. Exuding luxury, this true work of art features 10ft ceilings, commercial-grade curtain wall windows, a green roof and Miele appliances. A plethora of light, exposed steel, polished concrete and brushed-oak flooring combine a multitude of resources creating a welcoming energy. The exceptional outdoor space is the ultimate escape from your daily woes and a meeting place with one's mind.